Sankeys Music is a brand new label project set up by the Manchester club. The label is to be headed up by Darius Syrossian, the club’s current resident DJ and kicks off with a double CD mix to celebrate 20 years of Sankeys being on top of its game at the sharp end of club land. The club is apparently going well at the moment not only in Manchester, but also in Ibiza with residencies like Tribal Sessions, Cuff and ViVA, as well as in New York, which is the newest Sankeys outpost. 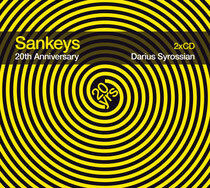 Disc 1 of the Sankeys 20th Anniversary Album, recorded live in Manchester with crowd noises included, is all exclusive and unreleased productions and remixes by Darius, many of which will be released on the Sankeys record label (with carefully curated remixes) after the summer, and Disc 2 is a selection of Sankeys classics from over the years. 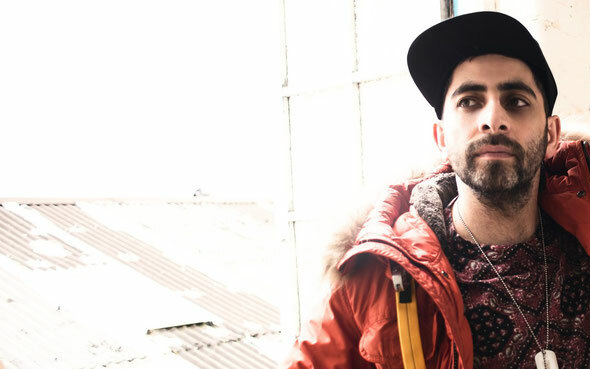 Darius’ own productions (on labels like ViVA, Get Physical and 8Bit) have topped Beatport charts, have featured on Heidi’s Jackathon and DJ Sneak’s Fabric compilations and have very much made the man behind them possibly one of the finest UK house talents of the day. He is also the driving force and resident at Tribal Sessions, currently making a return in Ibiza. Essentially, then, Disc 1 is like an artist album within a mix album, as per the likes of Ricardo Villalobos’s fabric mix. The production makes disc one a bulky, boisterous and sweaty house affair and touches on all styles of house as has proved Darius’s way with releases until now. And with the ambiance of the crowd added in for extra atmosphere, from jacking to deep, driving to more tripped out, all bases are covered. As for disc 2, plenty of the producers behind the tracks that have been played at Sankesy have themselves played at the club and duly left their mark, from Loco Dice to Argy, Green Velvet to Kerri Chandler. These are the jams that have defined the club throughout its storied 20-year history and really convey the vibes of the place, be that in terms of house, techno, minimal or anything in between. It’s been out since the end of July, but we thought it was still worth shouting about.